Nintendo Switch owners yearning to keep their system dashboard as pretty as possible did not appreciate Kingdom: New Lands’ minimalist icon design. Well their nightmare is now over. This week’s game update swapped the pixelated crown for an icon so epic it got its own trailer. 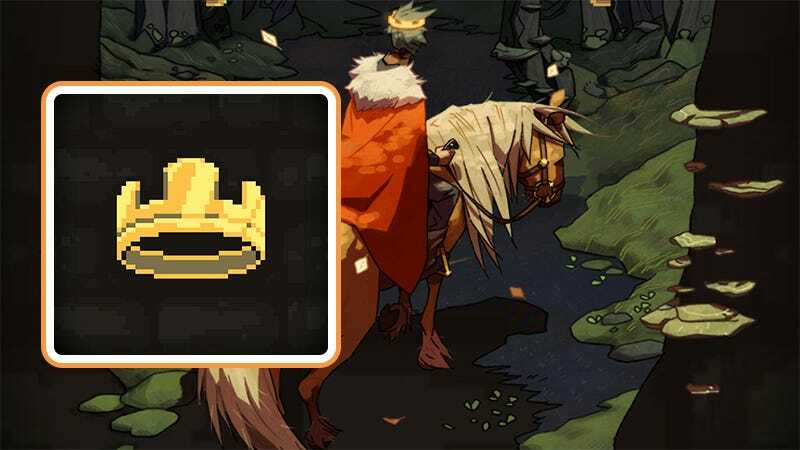 As we reported back in September, Kingdom: New Lands developer Raw Fury promised to swap out the offending icon due to strong fan reaction. The pixel crown may have worked well enough on the other platforms the 2D sides-scrolling game appeared on, but Switch owners needed something fancier, with a nice logo. Which is exactly what they got. A trailer celebrating a new game icon. That’s what we’re doing now.